Since its inception in 1992, the International Midway Memorial Foundation (IMMF) has had as its primary goal to preserve the memory of the Battle of Midway. 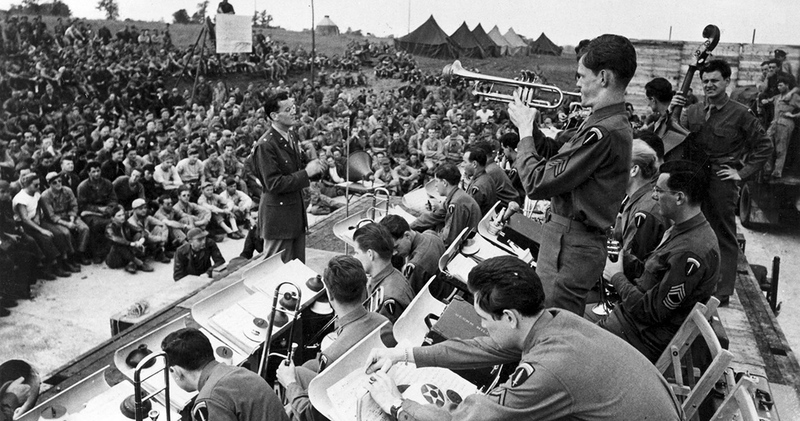 The Foundation was started to correct a relative lack of public knowledge about the Battle, which is no less an important historical event than the bombing of Pearl Harbor, itself a very well-known event of World War II. Indeed, one could argue that the American victory at the Battle of Midway not only guaranteed American victory in the Pacific Theater of WWII, but of WWII in its entirety. 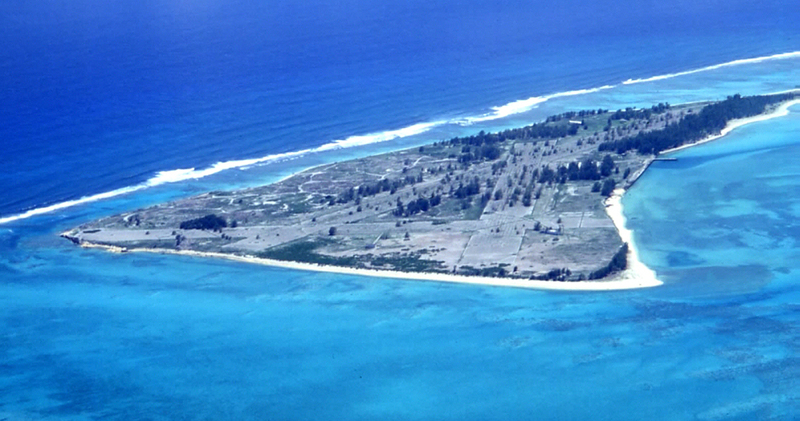 Perhaps the most important and far-reaching actions taken by the Foundation over the years have been those taken in the United States Congress, and are directed at preserving both the memory of the Battle, as well as the historical aspects of Midway Atoll itself. On December 15, 1944, a foggy day, Glenn Miller, pilot John Morgan and his friend Lieutenant Colonel Norman departed for Paris. While in flight while over the English Channel, the plane disapeared. We hope to find it, and you can help us out. The mismanagement of Midway’s Wildlife refuge and National Memorial has caused deterioration to the point where public visitation to Midway has ceased since November 2013 and into the foreseeable future. 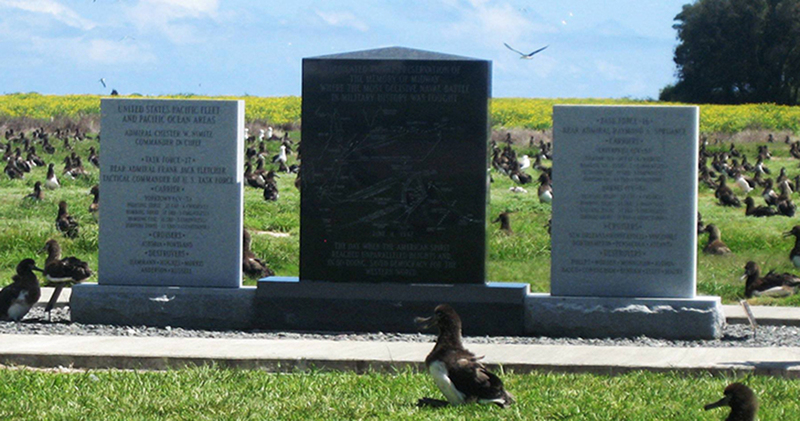 Created by James M. D’Angelo, MD (IMMF founder), the Wake Island monument design has been completed and approved by the American Battle Monuments Commission. Interested In Helping the Foundation? Want to help us preserve the memory and the historical assets of the Battle of Midway? A bill was introduced to Congress on March 3, 2016 in order to provide for the issuance of a Battle of Midway 75th Anniversary Semipostal Stamp. Pacific Rivalry at the Turning Point, a manuscript on the Battle of Midway, is being reviewed for possible publication by the U.S. naval Institute Press.